Johnny Mnemonic could have been a wonderful movie, had William Gibson not strayed so far from his original story when writing the screenplay. Having painter Robert Longo direct the movie, the first and to this date only full length feature he has directed, was probably not the best idea either. While Longo may present the occasional intriguing image, his inexperience shows in other areas. The acting is terrible for the most part, with Henry Rollins taking the cake for worst performance. Reeves, contrary to popular opinion, is alright and has a few great scenes, most notably his angry breakdown on the pile of garbage under the bridge. Having read Johnny Mnemonic several times the character of Jane is one of the most annoying factors of the movie. 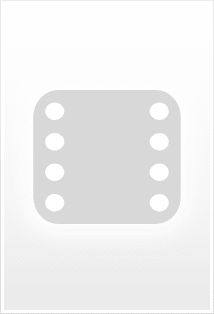 In the story the character is Molly Millions, a confident, tough as nails mercenary who sports several augmentations, most important being retractable blades under her fingernails. However, they had to change the character since Molly Millions is also a main character in Gibson's book Neuromancer, and another company owed the film production rights for that book, including the character of Molly. But they could have made Jane more like Molly. Instead, she's as insecure as Johnny, and he spends more time protecting her than she does him, which is supposed to be her job. There are other little inaccuracies in the movie, such as the Magnetic Dog Sisters. In the story they are the door guards at the club and Johnny claims that they are "bad news in a tussle." In the movie they are Ralfi's bodyguards and portrayed as pathetic and outdated rather than dangerous. 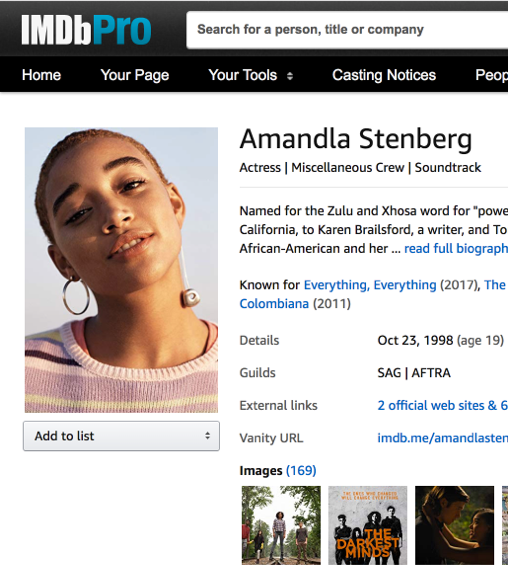 The story doesn't have anything about NAS, that's all a fabrication to fill space for the movie. Gibson seems to try to shoehorn several of his concepts into the Johnny Mnemonic movie. Instead of living in the rafters high above the streets, as they do in the story, the Lo Teks live on an old bridge. Gibson has people living on the Golden Gate Bridge in his books Virtual Light and All Tomorrow's Parties. The bartender Hooky, at the club where Johnny meets Ralfi, is an approximation of Ratz, a bartender from the book Neuromancer. 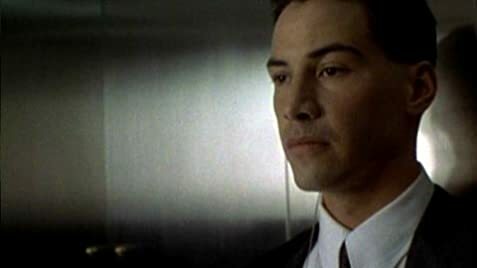 Johnny never accesses the matrix (the internet) in the story, but he does in the movie, for no apparent reason other than allowing director Longo to show off some CGI special effects. Longo also chooses to mimic Blade Runner in the opening scenes, and later on one character tells another that it's "time to die", a famous line from BR. I thought this was unnecessary, and cheapens the movie, as blatantly ripping of Blade Runner, whether it's for the purpose of homage or not, is the signature of several B-Movies, which is sadly what Johnny Mnemonic ends up being anyway. I still like the movie. It does have some good elements to it, and if you're a fan of Gibson, you should see it. It's better than Abel Ferrera's terrible adaptation of New Rose Hotel, because it at least portrays Gibsons technological world. 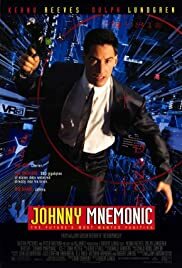 I hope that Johnny Mnemonic is remade one day because it is a great story. I'd ask Reeves to play Johnny again, because I like him in the role. Gibson's writing is so descriptive, that a screenplay should follow the story as literally as possible. Ideally, I think that Johnny Mnemonic would work out as a short film, something no longer than an hour. It is a short story after all, and adding filler to extend the time certainly didn't work the first time.